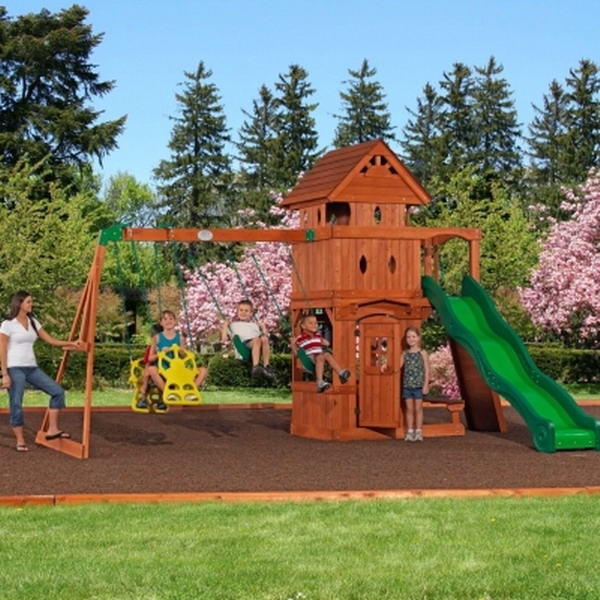 With this exceptional cedar swing set, add some fun to your backyard with a lower playhouse, 3 swings, 2 seat glider, 10' slide, and rock wall. 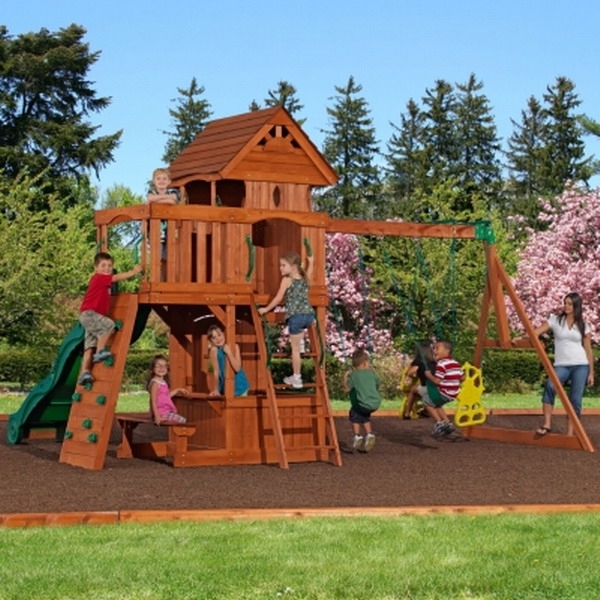 This is for one Brand New Outdoor Playground Wooden Cedar Swing Play Ground Set Activity Table & Bench. 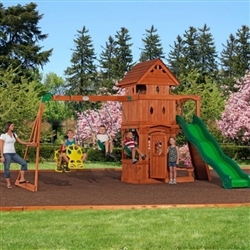 The Monterey is a unique play set that allows children two distinct upper and lower hide outs. Ground level includes an activity table with bench and a clubhouse. 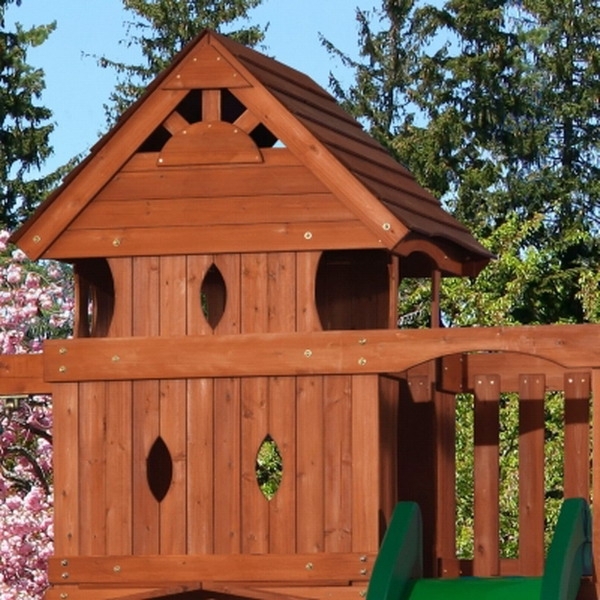 Upper level tree house inspired fort features kid friendly peep holes. Up to 9 kids can play on this set at one time!